The NUXE Baume Levres Reve De Miel Honey Lip Balm is a repairing, ultra nourishing treatment for your lips and lip contours. Thanks to this amazing balm, damaged lips will instantly be soothed. With this extremely nourishing fragrance-free NUXE Honey Lip Balm, containing no preservatives or artificial scents and no sticky effect, the most damaged lips become supple and soft. Acacia honey and shea butter nourish and intensely repair your lips, whilst grapefruit essence provides a nice sensation of well-being. Its luscious texture and its sweet taste of honey and grapefruit turns applying it into a truly blissful moment. This lip balm is suitable for all skin types and your whole family, including children aged 36 months or over. 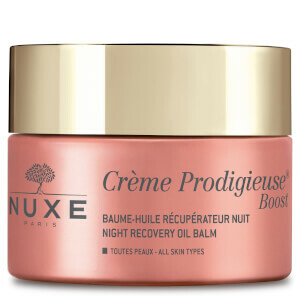 Use this NUXE lip balm to repair and nourish lips that have been damaged by climatic toughness, leaving them looking beautiful again. In winter or during the summer, apply this balm on your lips and their contour as often as you wish or feel the need to. I'm one of those people that has lip balms stashed all over the place - in my bag, in drawers, in every room of my house & at work - so that I can re-apply as often as I please because I really hate the sensation of dry lips. Although I'm applying lip balm all day like it's my job, by mid-day there's a thick, waxy coating on my lips that feels so nasty. 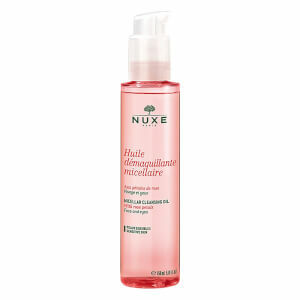 I began searching for an alternative to traditional lip balms when I came upon this one from NUXE. The texture is completely different from anything else I've tried before as it seems thick & slightly grainy but it absorbs quickly & offers all day hydration. 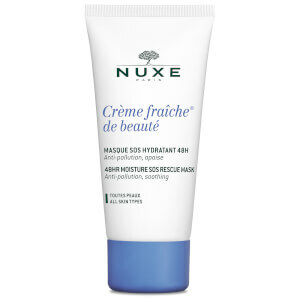 It took me a while to realize that I wasn't having to re-apply the NUXE lip balm more that 3-4 times a day & I absolutely love that! My favorite way to use this is as an overnight lip mask/treatment. After I complete my nightime skincare routine I clean off my lips with a soft washcloth, apply a lip oil & then apply a layer of the NUXE lip balm. When I wake up in the morning my lips are still soft, plump & super hydrated. I love how this product is not sticky and it makes my lips so soft.